Once something is gone, it is gone. Past cultures, cities, and individuals included. So researchers often turn to art and inscriptions to learn more about ancient lives. In particular, unusual cases can change the “facts” and even throw light on difficult questions. The most noteworthy discoveries are often accidental, and then the results can be mind-bending—from enigmatic paintings to entire lost civilizations. In 2012, Chinese archaeologists made a find that only recently spread to the rest of the scientific community. It was a tomb in the shape of an octagon, topped with a pyramid-shaped roof. 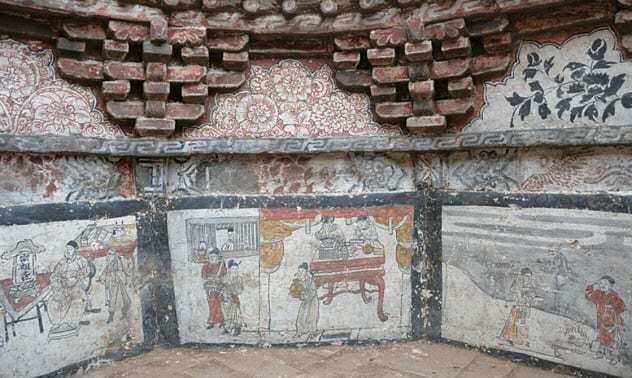 Found in Yangquan, the structure was built 700 years ago and seven of the walls were decorated with murals. One showed a husband and wife, the missing owners of the grave. Two other scenes depicted morbid stories. Both involved poor families facing the harrowing choice of killing somebody to ensure their own survival. Each time, the focus fell on an elderly family member. In the story where the parents decided to save the grandmother by burying their young son alive, they were rewarded by finding treasure while digging the hole. Nobody had to be sacrificed. In the second story, the grandfather was only spared a cruel death because the young son of the house threatened to do the same to his father once he was old. (The father was going to let the old man starve.) The tales seem dark, but they demonstrated a value the ancient Chinese once held in high regard—the protection of the elderly. Recently, over 50 new designs turned up in Peru’s Nazca Desert. 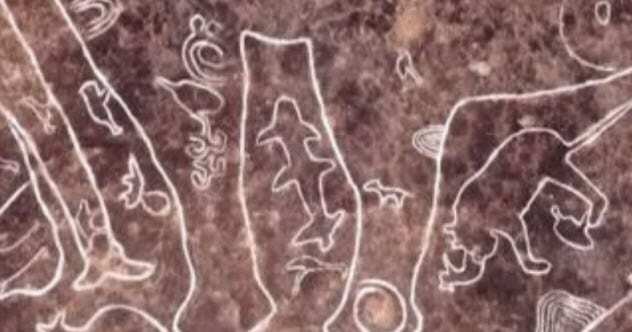 The vast region is famous for ancient drawings that can only be seen from the air. The massive designs include recognizable birds and other animals as well as geometric designs. Most were created by the Nazca culture (AD 200–700). However, some were also made by earlier cultures called the Paracas and Topara (500 BC–AD 200). The newly discovered images are believed to have been crafted by either the Paracas or Topara. They “drew” by removing the topsoil and exposing lines of lighter earth underneath. This technique was later adopted by the Nazca culture. Most of the new arrivals showed warriors, which could signal a Paracas origin because they often created human figures. Ever since the first images stunned the world decades ago, researchers have scoured the desert. This makes 50 new ones all the more surprising. 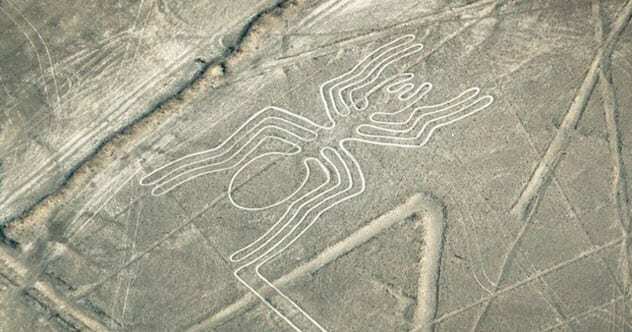 They may possibly add a better understanding about why Nazca has geoglyphs, a task that spanned three cultures and more than a thousand years. Trapesitsa Fortress in Bulgaria was once an ancient citadel and the capital of the Second Bulgarian Empire. 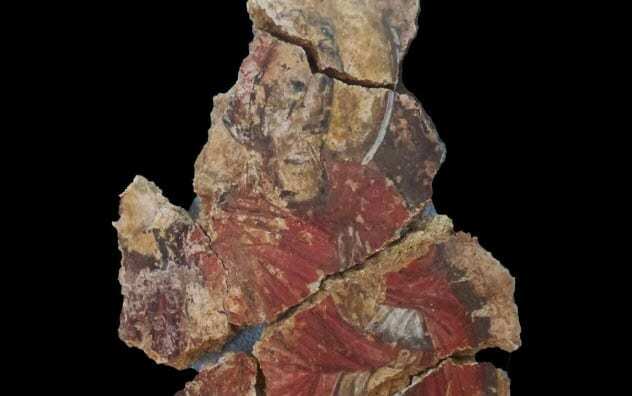 When a medieval church was unearthed in Trapesitsa in 2018, it was doomed to join a crowd of others already found at the site. However, the 13th-century building was unique in a long-expected way. One would assume that the churches, numbering over 20, would show an image of Jesus. Instead, there was a complete lack of art showing human figures, divine or otherwise. Except at the new building. It revealed murals so exquisite that it became the church with the best paintings at Trapesitsa Fortress. Among the pictures were three humans with halos, and one of them depicted Jesus. Another unique feature was that the church was attached to the inside wall of the fortress. It remains a mystery as to why this building got Jesus. The church was small by today’s standards, measuring 4 meters (13 ft) wide and 10 meters (33 ft) long. Archaeologists also believed that it was a parish for laborers and was not used by the fortress society’s elite. In 2018, archaeologists broke into a tomb located in Cumae, the oldest ancient Greek city in the Western world. The chamber itself was 2,200 years old and plundered by tomb robbers. The thieves left behind a strange fresco. It ran across several walls and showed people attending a banquet. One of them was a naked male servant. The painting itself was a remarkable find. All the other tombs in the area contained murals done only in white or red. The vast tomb’s scenery contained many colors. However, the mural was oddly outdated. By the time it was painted, the art’s “look” had been out of style for over a century. Archaeologists do not understand why the wealthy owners chose an unfashionable retro style instead of something trendy. The crumbling fresco was removed from the chamber, together with fragments found on the ground, to be reassembled and preserved for posterity. 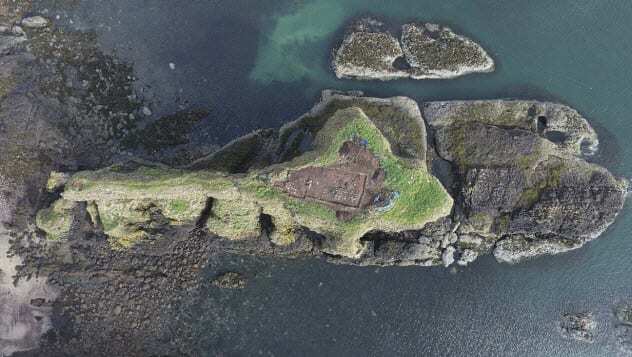 The Romans failed to invade Scotland, and one reason was the Picts. These fierce local tribes drove the Roman army out every time that soldiers attempted to grab Scotland. Not a lot is known about the Picts, but they were famous for elaborate body art as well as the symbols they carved on surfaces like rock and bones. Researchers generally agreed that it was some kind of written language but had no clue how it began. Many scholars believed that it evolved long after the Romans left Britain. However, new evidence suggested that the invaders were the source of the Pictish desire to start writing. Recent excavations at tribal sites showed the locals developed their written language about 1,700 years ago, likely due to being exposed to Roman script. The Picts never adopted Latin, and for this reason, their writing remain undeciphered. Rome also failed to conquer Ireland, Germany, and Scandinavia. Interestingly, around the same time that Pictish symbols developed, other writing systems blossomed, likely also in response to encountering Roman literacy. Runes emerged in Scandinavia and Germany, and Ogham in Ireland. An Egyptian tomb in Luxor yielded a mummified torso of a woman in 2014. Looking for her identity, researchers turned their attention to an amazing work of art—her skin. Over 30 elaborate and unique tattoos swirled around the woman’s neck, shoulders, arms, and back. This caused a sensation when she was found. But it also challenged an old notion in Egyptology about female religious figures. Some believed that women were banned from leadership positions, but this changed things. 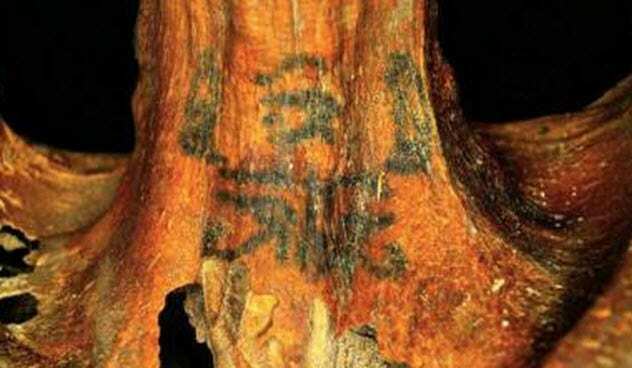 The 3,000-year-old tattoos were powerful symbols connected to magic and healing. They were positioned to be very visible, most notably sacred eyes that seemed to look at the beholder no matter from which angle the woman was viewed. Her body art was also an early version of sacred Egyptian tattoos, supporting another theory that the female body was used as a divine or magical object during rituals. Incredibly, it took the Egyptian authorities four years to decide whether she was a holy figure. During an announcement in 2018, it was confirmed that the young woman was indeed a highly respected religious individual. Jordan’s town of Beyt Ras produced a remarkable tomb in 2016. It was constructed by the Romans, with two chambers spanning about 52 square meters (560 ft2). Highly notable for its artwork, the well-preserved site was a prize find. Painted across the ceiling and walls of one room were almost 260 people. The theme was the clearing of the ancient city of Capitolias, an effort undertaken by both humans and several gods. The many details bordered on the chaotic, exquisitely packed to depict life in Capitolias millennia ago. Another highly unusual touch was the chosen language. The bubbles contained Aramaic text, written in Greek letters. Aramaic is very scarce in descriptive murals from this period. These days, better research techniques are behind a slew of new discoveries at Pompeii. As the ancient city continues to horrify and amaze, one thing researchers thought needed no further investigation was the day Pompeii died. 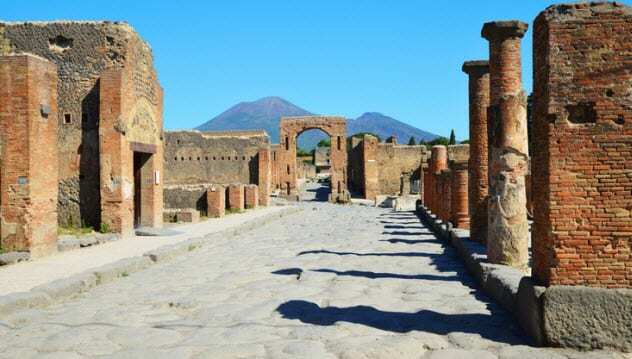 The Roman city lost against the volcanic outburst of Mount Vesuvius in AD 79. The day was August 24. This date was decided upon after considering archaeological evidence as well as ancient historical accounts. In 2018, a humbling moment came when archaeologists found an inscription on a house in Pompeii. It had been written by a laborer who carved something along the lines of “the 16th day before the calends of November”—or, in plain English, October 17. Historically, nobody was left alive by then, let alone working on houses. This clearly proves that the city and its neighbor Herculaneum were destroyed almost a month later than previously believed. In fact, the very day it happened is now unknown. 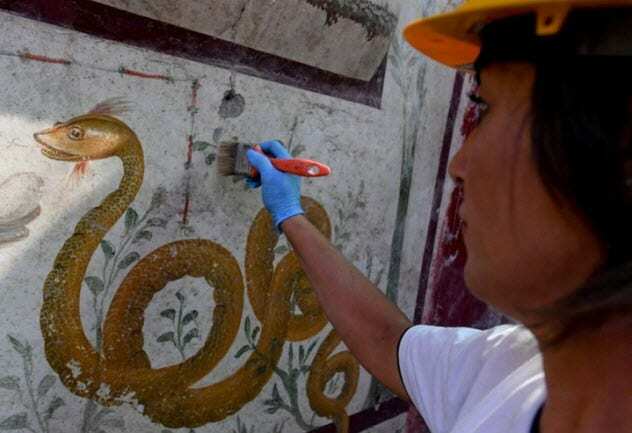 In 2018, one of the best discoveries to come out of Pompeii was that of a painted shrine. Called a lararium, nearly every ancient Roman home had one. The shrine from the ruined city was exceptionally stunning. It measured 4.9 meters (16 ft) by 3.7 meters (12 ft) and contained a pool as well as a garden. There were also the remains of an altar and offerings. The murals were truly luxurious, with remarkably fresh colors and great detail showing Roman gods, animals involved in battle, and snakes. A painted peacock was even positioned to “browse” the real garden inside the shrine. 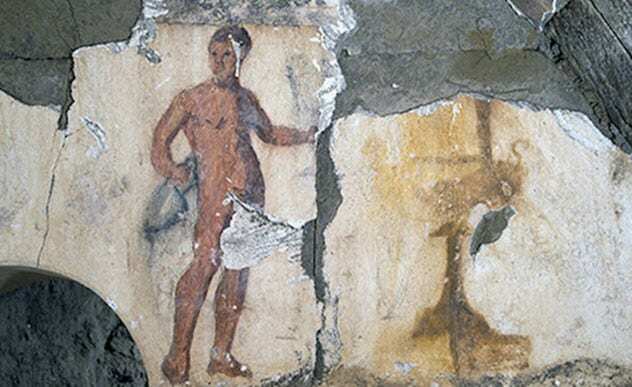 The homeowners were among Pompeii’s elite. 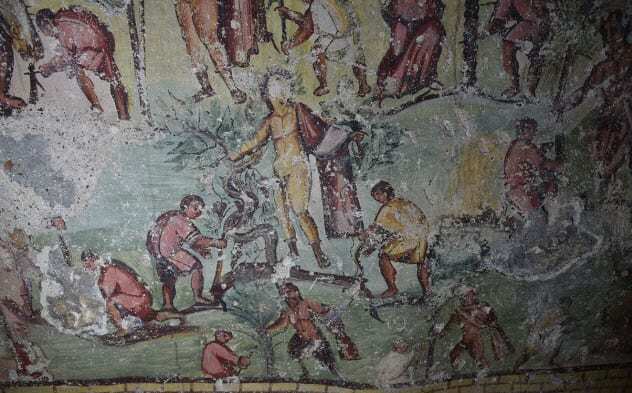 The paintings revealed that they likely shared most Romans’ fascination with Egypt. One figure resembled the dogheaded Egyptian god Anubis. There was also a fertility element to the shrine. The altar was painted with fertility symbols, and it contained the burned residues of foods linked to fertility—figs, nuts, and eggs. In India’s western state of Maharashtra, five villages had always been aware of the mysterious drawings around them. The ancient pictographs soon came to the attention of archaeologists. Intrigued, they searched more villages. The result was mind-blowing. Thousands of prehistoric images turned up. Obscured by soil, most had gone unnoticed for millennia. The stunning art included birds, animals, people, marine life, and intriguing geometric designs. The pictographs are the last remnants of a lost civilization nobody knew existed. This makes them the only information source for archaeologists wishing to learn more about the mysterious culture. Thus far, it is known that the civilization existed around 10,000 BC because that was when they drew on nearly every hill. A lack of farming art and the presence of images depicting hunted animals suggested that they were hunter-gatherers with no agricultural inclination. There was also a riddle to these artists, who carved hippos and rhinoceroses. Neither species ever existed in the region. The civilization’s awareness of them hints that the people came from elsewhere or that western India once had rhinos and hippos. Read more about intriguing images from ancient art on Top 10 Intriguing Images From Ancient Art and 10 Fascinating Pieces Of History Revealed By Ancient Art.